Jean-Gabriel Pageau played the game of his career in the Ottawa Senators’ 6-5, Game 2 win against the New York Rangers. His record-setting performance, which included four goals, inspired Ottawa’s Wellington Diner to create the “Pageau 4444”, a breakfast featuring four eggs, four sausages, four slices of ham, and four pieces of bacon to compliment their home fries and toast (which appears to be french). Now that’s a meal fit for a hometown hero. Pageau, who was born in Ottawa and also happens to wear No. 44, set a franchise Stanley Cup Playoff record by scoring four goals in a postseason game, including the game-tying goal with 1:02 remaining in regulation and at 2:54 in double overtime. 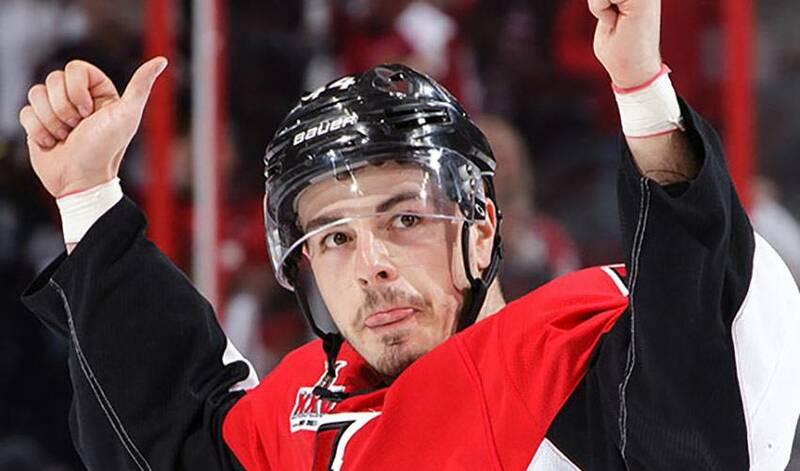 Jean-Gabriel Pageau says he doesn't like afternoon games: "I thought I had ate too much. I had two chicken parms."